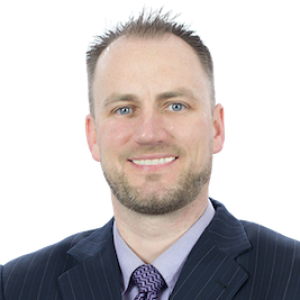 My wife and I have been dealing with Brad Goetz for the past 3 years and are very impressed with his ability to produce results in both the purchasing and selling of our properties. We are both real estate investors and thanks to Brad now currently own 2 Student Rentals, and an investment New Build in North Oshawa (Closing in February 2017), as well as Duplex in downtown Oshawa. Brads dedication and commitment to satisfying our needs is impeccable. His ability to get in tune with our needs enabled us to get the exact properties that fit our portfolio, for the price we wanted to pay, the moment they came on the market. Note: All properties run with positive cash flow and have provided us with a very impressive ROI. Prior to our transition to Oshawa, we owned 2 Single Family Rentals in the City of Brampton, to which Brad sold for us, and set the price trend in each respective area within just days of listing the property. The latest one going to a multiple offer situation, and selling for well over the asking price. Once again Brad, thank-you for your due diligence in regards to enhancing our investment portfolio. Here’s too many more future acquisitions. Brad was incredibly helpful with finding my first home. I had tons of questions and he was very patient and answered all of them. I was very nervous, buying a house is such a big step! He put my mind at ease time and time again. Thank you Brad! I couldn't have found it without you. Brad found our dream home for us and also sold the house we were in. Very professional and always has his clients interests at heart. Always willing to go the extra mile. We recommend him to family and friends all of the time. We will be using him for any future real estate needs. Brad helped us find our Dream home and we couldn’t be happier! We wouldn’t have found it without him. He is professional, patient, and quick to answer any questions we have. Brad also found us and organized great tenants for the house we were living in. We highly recommend him! Brad secured us our first home. He was extremely professional, thorough and dedicated and we recommend him to all of our friends and family. Hiring Brad again for our next real estate venture is a no brainer.